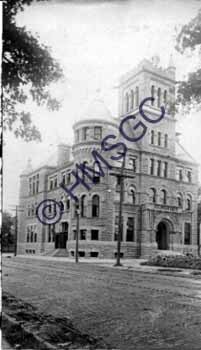 Keywords:Federal building, City Hall,Boonville Ave., streetcar tracks, Brower St.
Description/History:Black and white photo of the Federal Building at the northeast corner of Boonville Ave. and Brower St.. Became City Hall in 1937. Photo taken prior to the 1912 remodeling.